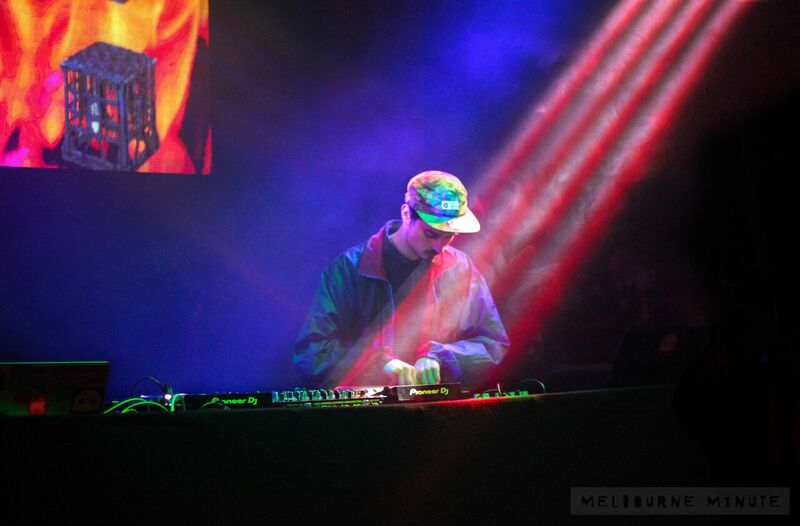 Able8 is a prominent music producer and contemporary beat-maker based in Melbourne, Australia. His unique brand of Alternative Hip-Hop and Electronic Bass Music pushes sound boundaries and grows alongside a forever-expanding roster of international collaborators. Wedged firmly in the Hip-Hop world, yet also bouncing between Bass-Music sub genres, his sound is hard to pin-point, yet also instantly recognizable. He has released on UK labels such as Boom Bap Professionals and Millenium Jazz Music, and his tracks of appear on countless international beat compilations and albums. Over the course of 10 years he has been writing and performing songs in various forms which has seen him tour Europe three times and open stages for international artists such as DJ Krush, Luke Vibert, Samiyam, G Jones, Bonobo, Machinedrum, The Streets, Hudson Mohawke and Krafty Kuts to name just a few. When he's not writing his signature sounds he is working hard behind the scenes curating events, running music workshops and organizing releases for his own label Uncomfortable Beats and performing gigs as a proud member of The Operatives collective, who import and showcase the best in electronic music to Australia's shore.